Makes it easier to display images, charts, or graphs possibly too complex for a flip chart. Also, PowerPoint files can easily be shared with participants or others after the session. For more details on our presentation workshops call us on 888.815.0604. A laser pointer for emphasis during the discussion of a PowerPoint slide. Use effects, transitions animation, and sound very sparingly. Use colors that work well together, such as yellow or white on a dark blue background. Check the readability and visibility of your fonts and color choices with the lighting in the room in which you will present. Develop a template and stick to it for a consistent look and feel. Make sure that your computer’s power management console will not automatically shut the system down after a set amount of time. While technology allows you to make great enhancements to a presentation, it also offers more opportunities for technical trouble. Here are some suggestions to keep your presentation moving along, even if the technology isn’t. Make one or more backup copies of your PowerPoint file on the computer on which you plan to show the presentation. Before the presentation, download and install the free Microsoft PowerPoint Viewer available at www.microsoft.com. 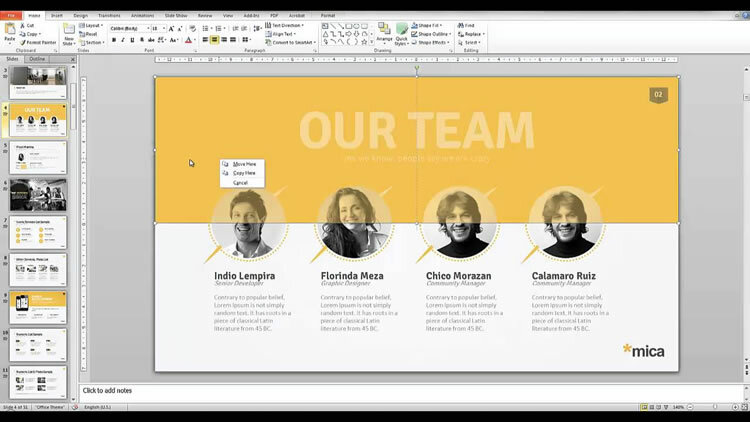 In the event that your PowerPoint software won’t run, you will still be able to use the viewer to show your PowerPoint slides. Copy your PowerPoint file onto a USB Drive. That way, if you have a computer problem, you can move the file to another one, if available. Bring sufficient printed copies of your presentation for participants. If logistics prevent that, plan to have at least one copy available for photocopying on site. If all else fails, write your key points on a flip chart. To view a sample of our past students testimonials, please click on the following link: Presentation student testimonials.